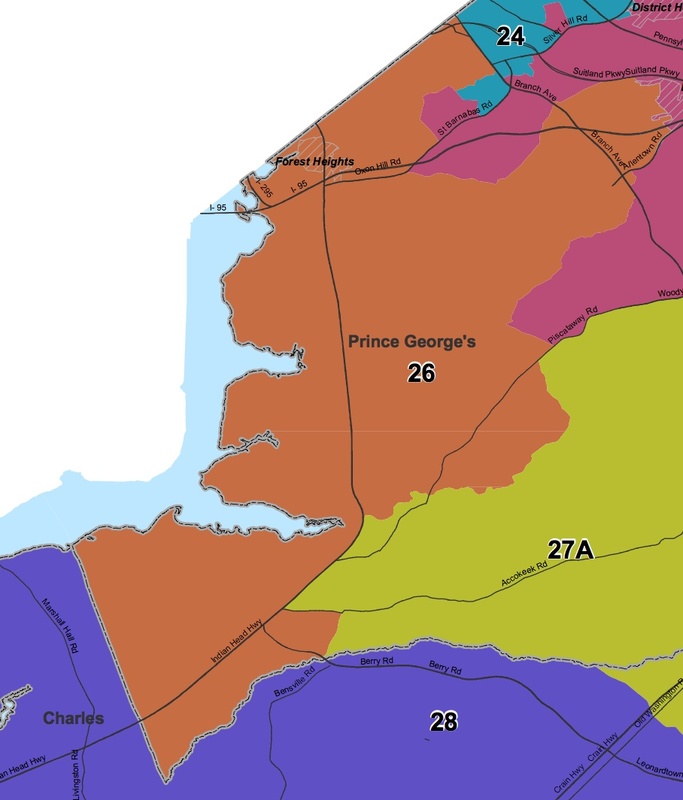 District 26 in southwestern Prince George’s County is 78 percent black in voting-age population. These days, it’s perhaps best known for Prince George’s showcase National Harbor development, soon to be home to Maryland’s MGM Casino. Sen. Anthony Muse is facing a tough fight for a third Senate term. Muse first won a term in the House of Delegates in 1994 and then narrowly lost a challenge to Sen. Gloria Lawlah, the first African-American elected to the Senate from this district, in 1998. Muse ran for County Executive in 2002 but came in third with just 19% of the vote. He beat Del. Obie Patterson in 2006 with 55% to win the Democratic nomination for Senate. 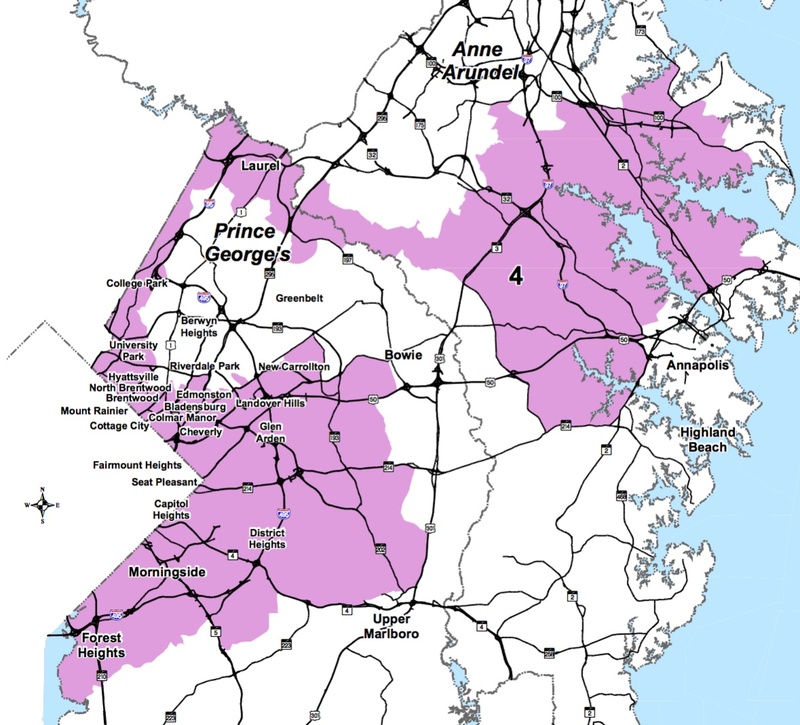 (Patterson now represents County Council District 8.) In 2010, Muse faced no significant opposition. Muse ran a quixotic campaign against U.S. Sen. Ben Cardin in 2012, taking just 16% of the vote and failing to carry his home county. In 2014, Muse faces a tough challenge from Del. Veronica Turner, first elected in 2002. Two other candidates have also jumped into the race, Jerry Mathis and Brian Woolfolk. Mathis, a former member of Prince George’s Community College Board of Trustees, won only 13% in his unsuccessful bid for the 2010 Democratic nomination for the District 8 Council seat. He seems unlikely to be a factor, especially since he has no campaign account (or at least I cannot find it in the database). However, he probably holds a grudge against Muse for filing a bill designed to stop him from running for the County Council in 2010. Brian Woolfolk is an attorney who previously worked for Rep. Bobby Scott (D-VA), who is viewed as a smart and highly competent Member of Congress, and as Counsel to the House Judiciary Committee. Woolfolk has $50K in his campaign account with $45K of the $65K raised in the form of a loan to his campaign. In contrast, Muse has $52K in his campaign account while Turner has $25K. As the leader of a 2000-member church in his district and an incumbent who has appeared on the ballot many times, Muse would seemingly go into this race with a strong advantage. His wife, popular NBC4 Anchor Pat Lawson Muse, is also a major asset to his campaign. Except that his church has now had to file bankruptcy. Muse blamed the problems on the struggles of the church’s middle-class members during the recession. But Muse’s previous church also filed for bankruptcy in the 1990s at the height of the economic boom after getting mired in $6 million of debt. Among the current church’s major debts are $610,000 owed to Muse and his wife, which includes loans they made to the church. One can imagine Turner recruiting support from the many people Muse has tangled with over the years, such as Gov. O’Malley, Sen. Cardin and Councilmember Patterson, who might not sorry to see him lose. Muse is also one of the more conservative members of the Senate. He opposed Gov. O’Malley’s wind power initiative and marriage equality, so Turner may attract support from progressives. An additional boost for Turner is that she is rumored to be quietly forming a slate with David Sloan, tipped as the most promising of the non-incumbents running for delegate. 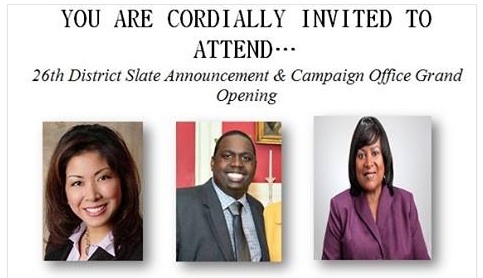 Support from the other incumbent delegates–incumbent Del. Kris Valderrama and Del. Jay Walker are both running– could also help either Muse or Turner. I have no information here; as always, please post on Facebook if you do. Of course, they could also choose to join neither ticket. Valderrama and Muse have not always had a strong relationship, so I don’t see her as a lock to slate with Muse. Alliances often change over time though, so who knows? The number of candidates could prove a barrier for Turner in unifying the anti-Muse vote. Woolfolk is a new candidate but can bring money to bear on the race and has a solid credentials. Mathis should not be a factor but may grab a few votes. At the same time, Turner has been on the ballot several times, so she undoubtedly has her own network of positive supporters who will rally to her. In other words, her campaign is not merely centered on unifying those tired of Muse. Moreover, women will make up a heavily disproportionate share of the electorate. Interestingly, Turner is listed as one of Brown’s endorsers while Muse is not. Her support for Brown could work to her advantage if Brown does well in this district on primary day. I need more information to get a more informed sense if this one leans one way or another yet. I tend to think it is between Muse and Turner, and that either could win, but it will be interesting to see if Woolfolk gains traction. Rating: Toss Up.